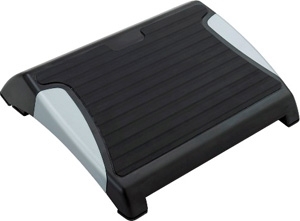 This sturdy footrest features four angle adjustments to help reduce leg and back pressure. And with the integrated anti-slip rubber mat your feet stay in your desired position to maximize comfort. Attractive two-tone black with silver accents.